There is a good chance that your vehicle is, well, the perfect vehicle to market and advertise your business. Whether you have a dog grooming business or an accounting firm, your car is the perfect moving billboard. However, where billboards can cost thousands of dollars to create, using your car can cost a fraction of that amount. Also, the chances are high that you will make your money back in increased revenue when people see your website address on the vehicle and then visit your online store. In fact, industry insiders say that this method of advertising can be 15% more effective than some other methods. 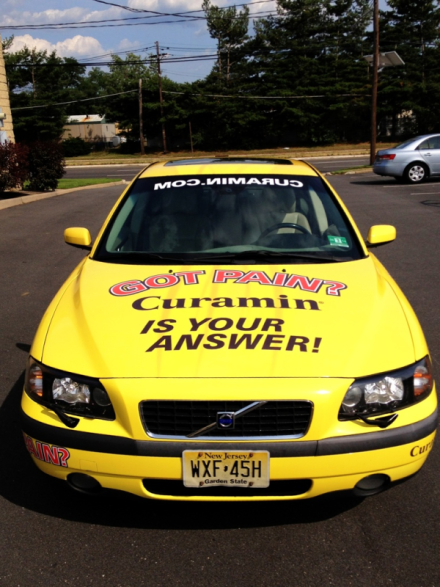 Here are five ways to use your vehicle for marketing and branding purposes. If you are a headshot photographer or a wedding photographer, you could put photographs that you have taken in the advertisement. There is nothing like seeing your actual work on the vehicle. There is also no better way to get other motorists interested in your services. You could even cut out the people in the photographs and create decals that you can place on the sides of your vehicle. Just make sure, though, that people can clearly see your business’ phone number and website address. If you have a fleet of delivery vehicles, you want to make sure each and every one is branded. When you see your neighbors get a package, you can usually tell where the delivery truck is from. However, if you don’t see where the truck is from, it doesn’t spark your interest. So you might want to outfit your entire fleet with one or two decals. One should be your company logo and the other should be more detailed information about your company, like phone numbers, web address and more. Place a QR code in the advertisement. A car that is outfitted with an advertisement can be just as effective in a parking lot as it is driving down the street. So, make sure that your advertisement has a clearly visible and reachable QR code. Basically, a QR code is a unique code that allows people with a smart phone or tablet to take a photograph of the code and then get automatically directed to your website. Free samples. Another way to use you vehicle for marketing purposes is to hand out free samples of your product. If you have a pick up truck, it will be even more effective. All you need to do is visit Kachina sign center to have your vehicle custom wrapped with your company logo and then fill up the back with samples. If you have a soft drink business, simply fill it up with ice and cans of your product. Then all you have to do is drive down the street and wait for people to pick up free samples. Everyone loves free. Place a large physical logo on your vehicle. There is nothing like catching people’s attentions with a large logo on your company car. If you are in the business of delivery or transportation, this is a great way to catch people’s attention and market your business.